If we talk about perceptions, a majority of people will agree that they consider maths as a comparatively difficult subject. It is however one of the most used subject in our life. Be it currency calculation or something else, we cannot live without using Maths in our day to day life for sure. Shakunatala Devi, known for her mathematical abilities was considered a “human computer”. She was not only a great mathematician but a nice human being too. She have tried a lot to remove the fear of maths from students’ minds. From what we know about her we can surely say that she believed that if associated with fun, learning maths is not a tedious or tough task. It is quite opposite. As said in the beginning, perceptions play a vital role in most of the tasks. We see that elders always telling young ones to focus on some subjects as they are tough and require hard work and more efforts to learn; which includes maths. In this kids oriented book (which is equally good for elders too, especially parents of young kids should go for it); she tries to explore a child’s mind through the character of a girl name Neha. Let us talk about the book content and what we think of it. 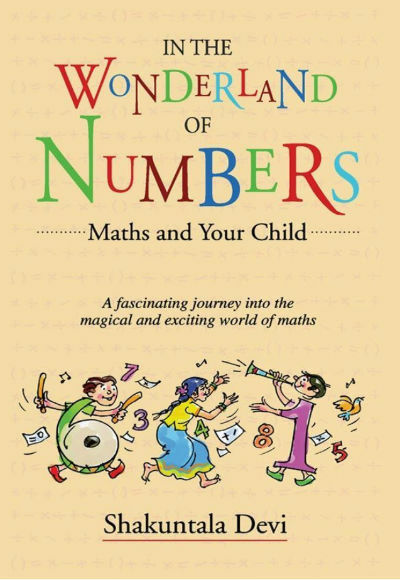 And see whether it can live upto it’s tagline A fascinating journey into the magical and exciting world of maths. However early she began, it was always a difficult task to get to the school bus stop on time. Seems familiar right?! It is almost same for everyone to run for the school in the morning. The bus/car/auto driver is arrived to pick you up and you are just finishing up getting ready. It is like you just need 2/5 more minutes. Neha is a genuine girl due to her upbringing. One example of her kind ness is she used to be friend with the elephant of village temple. The priest of the village temple used to love her as a kid too. And she also cares for the people who care for her. Like when she meet the milkman who delivers at her place; she not only ask about his wellness but also about his family and herd too. Some days got over as well as they had started. …where she began to hate numbers and feel that they hated her. Appa, I am doing so horribly at Maths. Amma is always angry and I feel as if numbers hate me and I hate them. And the wise advise from Neha’s father, can’t have better words than this. Only a wise and genuine human being can give such a fantastic advise. This conversation is quite superlative yet tries to setup the idea of “what is right, it should be done” in the education system. ‘You are right without knowing it’. “Maths is the foundation, Music is the structure and Dance the superstructure”. “Don’t let anyone put out that spark which makes you shine so bright! You are not only talented, you are prepared to work hard too. You deserve the best”. So overall, it is a nice book in terms of literary aspect. The human attributes are explored pretty well. The bond between the temple elephant and Neha is explored nicely. The theory of “Karma” is explored pretty effectively and we feel it when the elephant saves Neha. The conversation between numbers and Neha (when she is taking bed-rest) will remind you the tales like “Alice In Wonderland” (By the way, the book is themed on it, you can know it by reading book title itself). And some information about the numbers and their attributes are of very high level to understand. Especially for the students to whom the book is targeted. You may start feeling a little boring during the conversation where each number comes one by one to introduce themselves and show their attributes to Neha. The author have tried hard here, but probably that is what makes it heavy dose of medicine for the target readers. However, it is not easy to write a book on numbers (and maths) which is giving just fun. So there are the low points in the book. Don’t think it can miraculously establish a bond between students and maths. But, it is a genuine try. The human emotions, the importance of being gentle and helpful, the theory of Karma, etc… are explored quite nicely in the book. The second half have some dull moments, but overall the book is a good package. It is a simple, no-nonsense book which is worth reading.